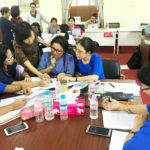 Gender and Development Studies (GDS) develops scholars and analysts who can integrate a gender approach to development planning and management as well as highlight practical applications for academic research in gender and development, including the Sustainable Development Goals, globally and more specifically in Asia. Functions as an academic arm of community-based efforts for the advancement of women and sustainable development. Forging linkages with international women’s studies and gender studies research networks and associations to engage in the current drift of debates and issues that would enhance curriculum-building. Gender and environment, Development planning/management, Globalization, Employment, Health, Politics/human rights, Technologies, Development communication, Migration, Gender-based violence, Gender main- streaming, Masculinities, etc. GDS provides a strong theoretical basis of gender concepts and also provides an opportunity to explore the concepts in an Asian context. This unique experience gives us graduates a competitive advantage for opportunities after graduation. Gender and Development Studies at AIT gave me a comprehensive understanding and appreciation of gender issues and their relation to life. As a result, I have developed an empathic attitude toward the people I meet. Language is no more a barrier. 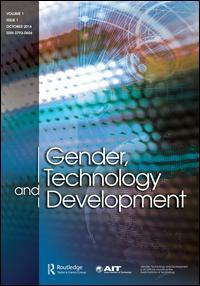 Gender, Technology and Development is an international, multi-disciplinary, refereed journal serving as a forum for exploring and examining the linkages among changing gender relations, technological change and developing societies. The diverse perspectives of the Asian region are the focus of discussion, while dialogues along East-West and North-South lines are also an important aspect of the journal. The overwhelming changes brought about in our lives by the power of technology only serve to emphasize the need for a cutting-edge journal that focuses on the interface of gender, technology and development. This journal serves this crucial niche, thereby bringing issues of future concern to light and highlighting issues that deserve thought and concern in all fora. 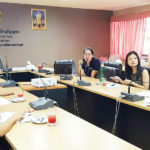 The journal, started in the year 1997, is based in the Gender and Development Studies, School of Environment, Resources and Development, Asian Institute of Technology, Thailand. It was published by Sage Publications between 1997 and 2016, and since 2017 by Taylor and Francis (Routledge). NORAD/NMFA has supported the journal for many years as well as the Rockefeller Foundation, USA, and this support is gratefully acknowledged. to encourage international scientific cooperation and understanding, and enhancing multi-disciplinary research. Gender, Technology and Development (GTD) has become an important tool for the dissemination of practice-oriented research on gender, technology and development. The total number of articles submitted to GTD had tripled between 2004 and 2013. During the last five years, the full-text downloads have increased dramatically, from 3,591 in 2006 to over 20,000 in 2013. The journal has achieved a Number 2 rank among Norwegian universities in 2012, which is the highest rank of excellence appointed to internationally refereed journals in Norway. The journal is now indexed in the Emerging Sources Citation Index (ESCI). 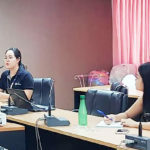 The gains made by the GTD journal, continue to project Gender and Development Studies field in AIT as a regional center of scholarship in gender and development in Asia. It is our view that the strengths of the journal should be sustained and strengthened. Dr. Joy Clancy, Twente Centre for Studies in Technology and Sustainable Development, Netherlands. Dr. Joyee Chatterjee, Asian Institute of Technology, Thailand.